On September 9, Queen Elizabeth 11 became the longest reigning monarch in British history. Her record also applies to her 15 realms other than Britain, the majority of them in the Caribbean even though they are independent from Britain. The 9 independent Caribbean countries of which the Queen is the Head of State are: Antigua and Barbuda, The Bahamas, Barbados, Belize, Grenada, Jamaica, St Kitts-Nevis, St Lucia and St Vincent and the Grenadines. Papua New Guinea, Tuvalu and Solomon Islands are her 3 realms in the Pacific with the former Dominions of Australia, Canada and New Zealand comprising the remaining three. The Queen’s achievement as the longest reigning monarch in all these realms and Britain is cause for celebration of the past and contemplation of the future. Without question, Elizabeth 11 has been a remarkable monarch. Coming to the throne at the age of 25 in 1952, she has worked with 12 Prime Ministers in Britain and more than 60 in the 15 other Commonwealth countries of which she is the Head of State. There has never been any doubt of the respect accorded to her by each of them. She has also been greatly admired by the citizens of her realms even though she is not physically present in many and in some of them, including Britain, there are strong voices calling for the end to the monarchical system. Governments in several of the realms have indicated that they would like to sever ties with the monarchy and make their countries Republics with one of their own nationals as Head of State – either as an executive or titular President. Among the countries in which this notion has been mooted are: Australia, Barbados, Jamaica and St Vincent and the Grenadines, although it is only in the latter country that a referendum – albeit a failed one – was held on the issue. Significantly, there has been no criticism of the Queen personally in the debate over the principle of ceasing to be a monarchical state and becoming a Republic. Indeed, the debate may have become somewhat muted over the last few years because of the great outpouring of public affection for the Queen, particularly at her Diamond Jubilee celebrations in 2012 marking 60 years of her reign. Inevitably, however, the 15 realms, other than Britain, will move to Republican status. When Her Majesty leaves the throne, it will be difficult to convince people who hardly see the monarch that she or her hereditary successors should remain their head of state. Nations rightly want their country represented by one of their own who is elected by them or appointed by a parliament they elect. The Queen herself is reportedly not averse to such a development. According to a report in The Dominion Post of New Zealand, former Commonwealth Secretary-General, Sir Don McKinnon, is said to have revealed that the Queen told him that she has no problem with New Zealand having its own independent head of state. Immediately after the Queen attained the status of ‘longest reigning monarch’, the Chairman of New Zealand Republic, Savage (he has only one name), called for plans to be made “sooner rather than later” for a change. It is only a question of time before all the present realms, except Britain, move to Republican status. And, it is reasonable to assume that this will be easier to achieve when the Queen leaves the throne and the connection with her personally no longer exists. But, when ties are severed with the monarchy, Queen Elizabeth will undoubtedly receive fulsome and sincere praise and unbridled gratitude for the stability and attractiveness that her presence brought to the governance and image of the countries of which she was Sovereign. In her long reign, the Queen has also played a dynamic and crucial role in the now 53-nations Commonwealth. The former ‘British’ Commonwealth became simply “The Commonwealth” in 1949 when India decided to discard Dominion status and become a Republic. From that moment, the Commonwealth was no longer ‘British’, but a free association of independent states that accepted the tenet that the King (of Great Britain) would be the symbol of their association, and, “as such the Head of the Commonwealth”. Three years later when the Queen unexpectedly succeeded her father at his untimely death, she seamlessly also assumed the role of Head of the Commonwealth – a role she has fulfilled for 63 of the modern Commonwealth’s 66 years. She had made a commitment to the Commonwealth four years earlier on her 21st birthday when she declared: “If we all go forward together with an unwavering faith, a high courage, and a quiet heart, we shall be able to make of this ancient commonwealth, which we all love so dearly, an even grander thing – more free, more prosperous, more happy and a more powerful influence for good in the world”. She pledged that her “whole life whether it be long or short shall be devoted” to the service of the “great family to which we all belong”. She has certainly fulfilled that pledge. Her devotion to the Commonwealth and its affairs, even to the point of defying the advice of British Prime Ministers in support of wider Commonwealth positions, is well known and greatly respected. During her reign, the Queen has undertaken more than 200 visits to Commonwealth countries and visited every country of the Commonwealth (with the exception of Cameroon, which joined in 1995 and Rwanda which joined in 2009) including Zimbabwe and The Gambia which are not now members. She has brought star quality to the Commonwealth and, by her association, given it global recognition and regard. 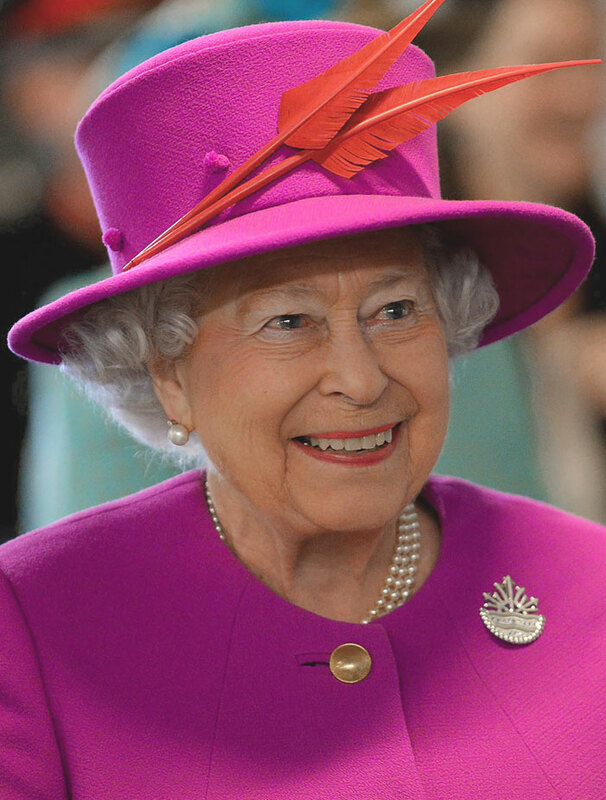 The time will inevitably come when her realms, other than Britain, will have their own national head of state, but in celebrating her long reign now as Queen, all Commonwealth nations should also acclaim the valuable and constructive part she has played in trying to keep their association worthwhile.